Get a free 3 session trial! Click here ! 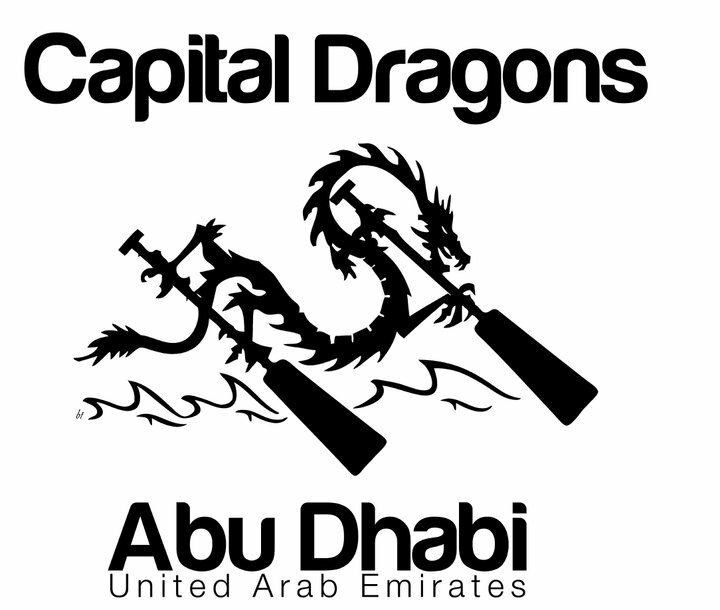 Capital Dragons Abu Dhabi is a member of the UAE Dragon Boat Association, the official governing body for dragon boating in the UAE. The association falls under the umbrella of the International Dragon Boat Federation (IDBF). 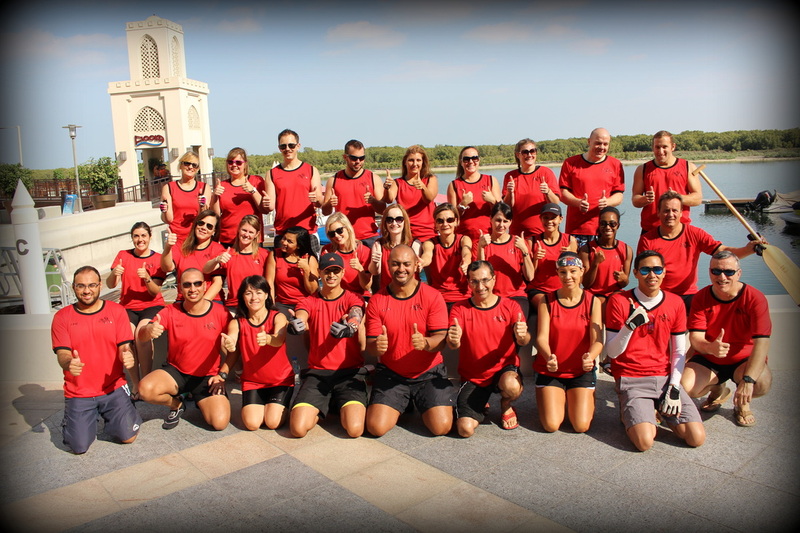 Capital Dragons is a social non-profit dragon boat team that was established in Abu Dhabi in 2008. We participate in regattas around the United Arab Emirates, including Dubai and Ras al Khaimah. 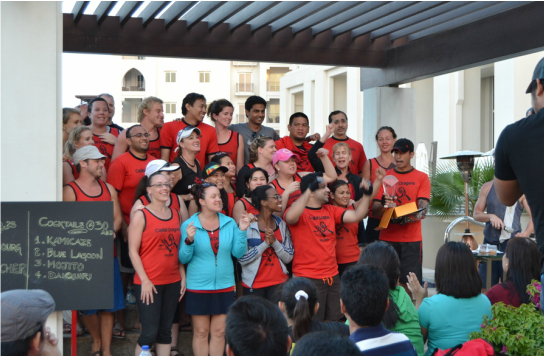 Capital Dragons is comprised of a mixed team and a ladies-only team called ‘Capital Divas’. Capital Dragons promotes fun, fitness and friendship. Capital Dragons prides itself in having a diverse team with approximately 18 different nationalities on the boat, each Dragon brings a taste of home to this assorted crew. Capital Dragons seeks to blend diversity to achieve a rich, exciting sporting and cultural experience for all members. Capital Dragons seeks to spread the sport by recruiting new paddlers who have no previous experience in paddling. Capital Dragons strives to support local, national and international environmental initiatives and to regularly take part in beach clean –ups, including the world renowned P4P – Paddle for the Planet. We recognize that Capital Dragon paddlers are the ones who make this all possible. It is our goal to provide the atmosphere for paddlers to thrive. We are committed to creating a positive culture in the boat and on shore, in which all team members work together to achieve our mission. Capital Dragons Profile from Capital Dragons on Vimeo.